Hello and welcome to a special Wednesday Product Post! Due to our Black Friday and Cyber Monday sales, we decided to release all our new products a few days early. We have two different SparkFun LTE shields, one with an included SIM card and one without. We've also updated and moved the Qwiic Cable Kit to an official SparkFun product. Last, we have a new Qwiic-to-Grove Adapter Cable to interconnect Grove boards to our Qwiic Connect System. Long-Term Evolution of Arduino Shields! The SparkFun LTE CAT M1/NB-IoT Shield equips your Arduino or Arduino-compatible microcontroller with access to data networks across the globe. This shield adds wireless, high-bandwidth cellular functionality to your IoT project, while maintaining low power consumption and a small footprint. The SparkFun LTE CAT M1/NB-IoT Shield is based off the Arduino R3’s footprint, which allows you to easily incorporate it with your favorite Arduino-based device. If you don't already have a SIM card, we've also bundled a version of this LTE shield with one for only $5 more! At the heart of the LTE Cat M1/NB-IoT shield is a u-blox SARA-R410M-02B LTE Cat M1/NB-IoT modem. Cat M1 (Category M1) and NB-IoT (Narrowband IoT) are both Low Power Wide Area Network (LPWAN) technologies designed to provide cellular communication to small IoT devices. They operate on LTE network bands just like most smartphones, and should be supported by most cellular network carriers. 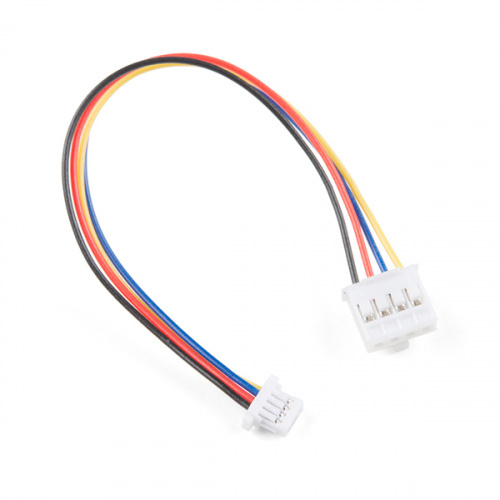 The u-blox SARA-R4 module communicates over a UART via a simple AT command set. We’ve provided a library to help you get started with everything from sending SMS text messages to communicating with servers over a TCP/IP connection. Additionally, both the module and library support an I2C GPS interface via a Qwiic connector, so you can plug in a u-blox GPS module and start remotely tracking your project. The SparkFun Qwiic Connect System is constantly growing in popularity with makers. To make it even easier to get started, we've assembled this Qwiic Cable Kit for everyone. If you aren't sure which Qwiic cable to use, this handy box includes all of them, allowing you to save a little money and time! 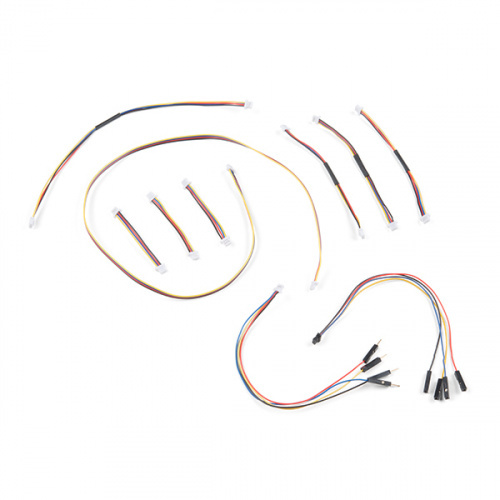 The kit includes 10 cables of various lengths and styles that will get your Qwiic boards connected together, to a development platform or to a breadboard. The Qwiic-to-Grove Adapter Cable allows interoperability between the SparkFun Qwiic Connect System and the I2C-based Grove boards from Seeed Studio. Now you can plug Seeed Studio boards into the Qwiic bus, or you can use this cable to introduce Qwiic sensors, inputs and outputs into your Grove system. And that's it for new products this week! Make sure to come back on Friday and Monday to check out our special sales! As always, we can't wait to see what you make! Shoot us a tweet @sparkfun, or let us know on Instagram or Facebook. We’d love to see what projects you’ve made! I finally found the link to the Hologram website buried clear down at the bottom of the Hookup Guide for the CAT with Card. I'd STRONGLY suggest putting this link somewhere a bit more obvious on the product page. Thanks for the heads up 134773! We'll definitely get more links to Hologram. They've got a really maker-friendly service: cool prototyping features like TCP/UDP messaging and webhook-routing. And it's pretty cost-efficient if you're not sending too much data.